Black is said to be the most sophisticated and the dashing color of all and what could be more graceful if that color adds that very touch of luster and sensuality to your hooks. 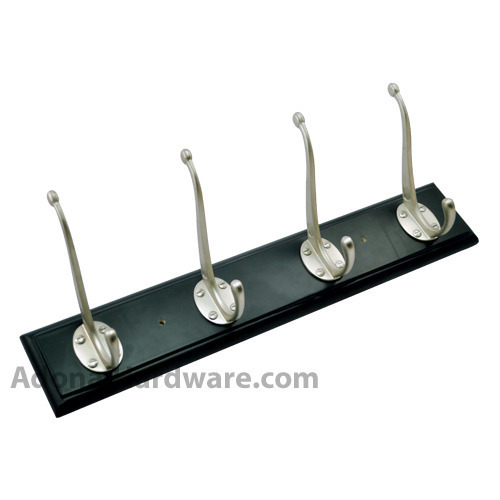 The 4 Brass Hooks on Matt Black Colour Wood is just the thing that is being talked about. Giving the strongest support that is made with wood and the hooks with brass makes just the perfect combination of style and durability. Its style is so exclusive that you are not going to feel the pinch in your pocket and since it comes with two years of warranty so you just can’t afford to miss.